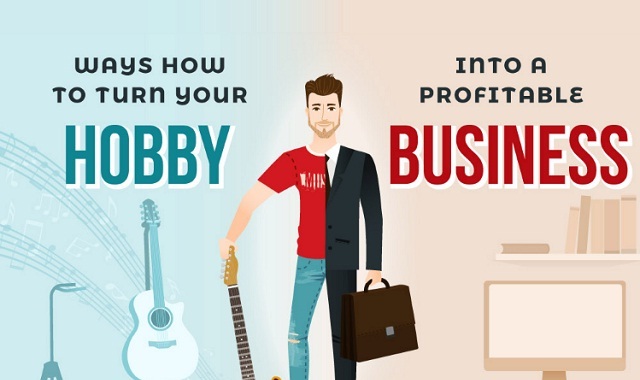 Ways How To Turn Your Hobby Into Business #infographic ~ Visualistan '+g+"
What is your hobby? Do you write poems, draw pictures, bake cupcakes, play guitar? (You name it!) And what if I say you can monetize this hobby and turn it into a profitable business? Everything you need is a little arrangement and strategic realization. Indeed, five in ten people gain income from their hobbies today. If you feel it’s just a right kind of time to join them, here goes the infographic for you to pave the way for success.